As I still have leftover soda water from making my Fish Fillet, I decided to use it to make my favourite Steamed Egg Muffins. 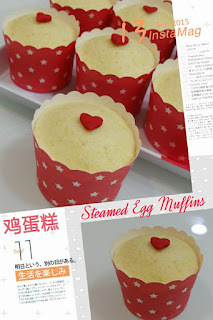 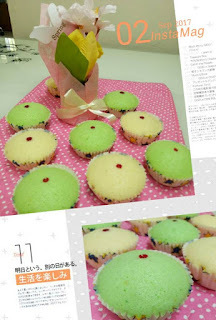 I really love these red fillers which contrasted with the yellow colour of the muffins. Craving for 鸡蛋糕, so decided to make some and added pandan paste to have Pandan Steamed Egg Muffin.